Back Office Pro (BOP)’s highly professional team of innovative engineering services specialists help clients with a variety of requirements when they outsource structural engineering design services to BOP. Helping client keep up with the growing market demands, BOP is a trusted structural engineering company in India that provides skilled resource support for complex projects. Working with various industries including civil, residential, industrial, commercial, geotechnical, healthcare, and environmental-structural engineering projects, BOP offers conceptual as well as preliminary and detailed design and analysis services to global clientele. Laced with extensive domain knowledge, understanding of industry standards, and skilled resources, BOP helps clients get the best out of their investment without compromising on quality. 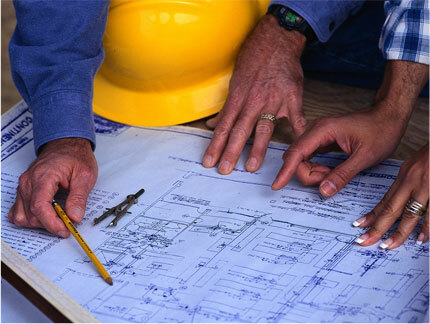 Graduate degree in Civil, Electrical, Architectural engineering. Excellent understanding in AutoCAD, Revit, MicroStation, Tekla, SolidWorks, etc. Hands on experience in FEA (ANSYS), rotodynamic analysis, stress analysis, etc. Expertise in working with various global teams and good communication skills for faster and smarter reporting system. Apt in multitasking and prioritizing crucial tasks to help clients without fail. BOP offers customized structural steel detailing services including shop drawings, detailed erection plans, and more. BOP helps executing designs for all types of residential, commercial, and industrial buildings, using international industry standards. BOP’s team of structural engineering specialists closely work with clients to offer load-bearing structure designs, foundation drawings, and vibration equipment drawings for industrial projects. BOP has provided structural design services for the printing press, steel production, allied industries, chemical, oil, and power industries. BOP has a team of specialized structural engineers who offer shop floor drawings, sheet metal drawings, millwork drawings as well as wood workshop drawings to global clients. BOP also offers design and drafting services for steel components, trusses, reinforced concrete structures, pre-cast concrete designs, and more. BOP uses leading technologies to offer FEA and FEM services to clients at an affordable price. We design structural shop drawings to locate loopholes or structural malfunctions in the plan before your project is executed. BOP offers smart design and analysis for custom homes to help clients with masonry and RCC home designs. BOP has dynamic structural engineering services to help clients fix older structure for present-day climate and environment conditions. BOP uses industry-leading design and analysis tools to conduct element analysis for high-rise structures. BOP helps a client with a wide variety of residential as well as commercial building projects including composite structures, RCC and steel structures, prefabricated buildings, etc. Latest technical know-how and top of the class infrastructure – BOP has set up high-end structural engineering labs, equipped with the latest infrastructure to help clients get better and more accurate structural design services. Affordable cost and faster turnaround time – BOP offers high-quality services owing to its global project management strategy and skilled resources. Quality Assured Project Delivery – BOP has the right kind of quality analysis frameworks in place to ensure there is no compromise in project delivery. Strict NDA – BOP signs strict NDA with clients to keep information safe and secured from any sort of breaches. Understanding of latest industry standards – BOP has expertise on US, Australian, Canadian, European building codes and standards that ensure support for all phases of construction work. BOP follows a tried-and-test approach to project management and delivery to help clients avail high-quality structural design services with ease. 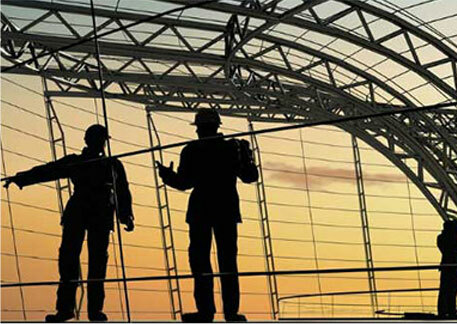 Talk to BOP’s specialists today to see how they can help your structural engineering projects.